Here’s another look at the Samsung Galaxy J7 (2017), this time without the case. That case concealed an interesting design element on the back - the decorative line that houses the camera and the LED flash, similar to the Galaxy J3 Emerge. This was included in the speculative 3D renders we saw at the end of last year. 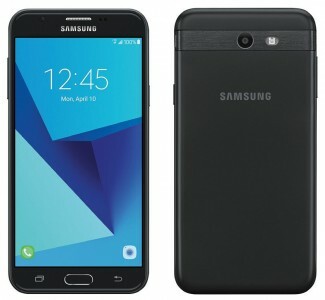 This particular image is of Verizon’s version of the phone, which will go under the name “Galaxy J7 V” (model number SM-J727). The same phone will be available on MVNO carrier TracFone where it will be called “J7 Sky Pro”. 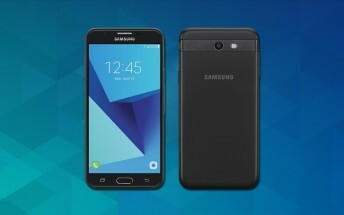 Rumored specs for the Samsung Galaxy J7 (2017) include Android Nougat running on a Snapdragon 625 chipset with 2GB of RAM. The screen should be a 5.5” Super AMOLED of720p resolution and fairly unimpressive camera setup - 8MP main, 5MP selfie. That’s what GFXBench detected, anyway.